← “WRITING FOR YOU” releases tomorrow! What is the point of this writer’s handbook? Here’s the preface. 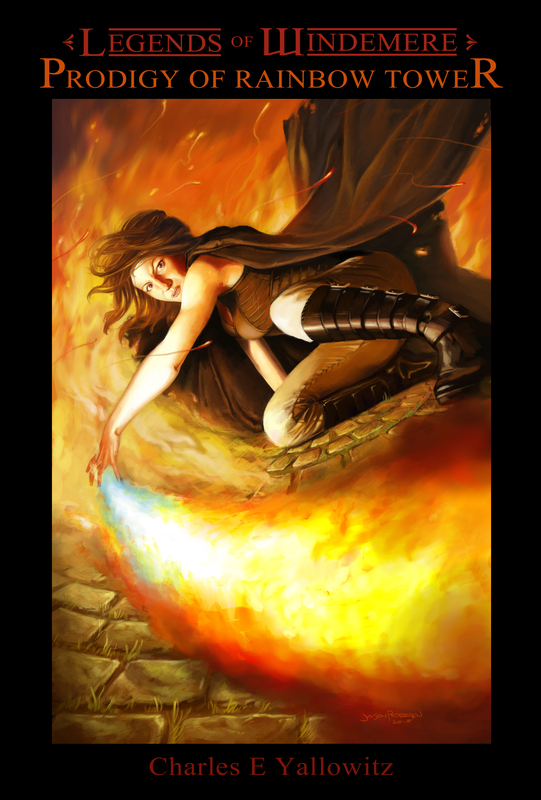 NEW RELEASES FOR WRITERS AND FANTASY FANS: “Writing for You” and Legends of Windemere on July 31, 2013! I am stoked, you guys: “Writing for You: A Novelist’s Guide to the Craft of Fiction” is FINALLY out in the world. It was months in the making and comes per your request. If you enjoy the blog here, or just want some material to get you thinking about, questioning, and improving your writing process, this book is a must read. The kindle version is on sale for early birds: this week only, it’s available for $2.99. Regular list price is $4.99, so make sure you take advantage of the deal and let others know about it. Paperback will be available on amazon.com for $7.99 very, very soon. If you prefer a book to hold in hand and don’t want to wait, you can order directly from the publisher here. Enter discount code 848EH54C for $1 off the list price. There is material for new and experienced authors alike. It’s NOT just for fantasy writers, though I happen to write fantasy. It focuses just as much on overcoming doubts, fears, and your inner editor as it does on writing mechanics. It draws examples from the classics and the standards, including “Gone with the Wind,” “Harry Potter,” “Pride and Prejudice,” “Don Quixote,” “The Lord of the Rings,” and Charles Dickens. It doesn’t say “how” to write; rather, it describes the way I write, and that style’s benefits and drawbacks, as well as the benefits and drawbacks of other processes. Whether you love or loathe outlines, prefer a simple style or aspire to be the second coming of William Faulkner, this book has something to say to you. Please check it out! Your suggestions influenced the content to no small degree: it exists because of and for you guys! I’d love to hear your thoughts and opinions about all the new material: stuff you can’t find on the blog. AND DON’T FORGET ABOUT THE LEGENDS OF WINDEMERE! Today is a day of excellent releases!!!! Tomorrow, I’ll be back to my regularly scheduled blogging program, talking about creative writing, marketing fiction, and blogging, but for now, I’m taking part in a blog blitz for the Legends of Windemere series by Charles Yallowitz. This entry was posted in My Writing, WRITING FOR YOU: the blog's book and tagged book release, creative writing, fantasy, fiction, Legends of Windemere, the writing process, writers, Writing for You. Bookmark the permalink. Good luck to you. Hopefully we both have amazing debuts. For sure!!! 🙂 Best of luck to you and Legends of Windemere! Good point. I’m not really sure what to do about the second one because that’s where the attention is right now. Just do what you can to make sure people know it’s the second and not the first or a standalone, I guess. That’s what I did when I released books 2 and 3 of my trilogy. I have it in the book description and one of the first pages has the listing of previous books in the series. If anyone fails to notice then I can only say I warned them. Good! That’s a good idea, listing of previous books in the series. Reblogged this on Shiggy Enterprises. Congrats Victoria! Just bought my copy of Writing for You. Looking forward to reading it. So exciting! Congratulations! I got the gift copy today. Thanks so much, I can’t wait to dive right in! Yea!!! 🙂 Hope you find it fun and engaging. I had a blast putting it together…. until it got to the point where I was wanting to pull my hair out. Why is writing always like that??? Congrats Victoria! I wish you continued success!! thanks so much! 🙂 the book is doing well so far…. number 34 in the writing skills category on amazon! aw, thanks so much! I hope you enjoy the book! I had a lot of fun putting it together. It has the same tone, I think, as the blog more or less, just more organized and deeper. Will the fun never stop? This is a booklover’s dream–more new books! 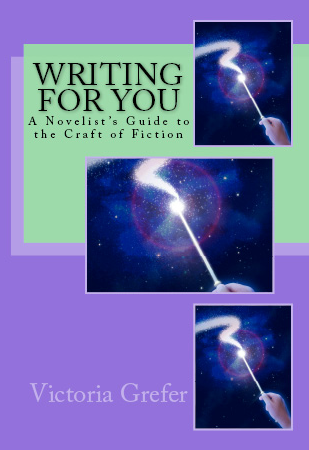 Victoria Grefer’s new book, Writing for You: A Novelist’s Guide to the Craft of Fiction, is available NOW at Amazon. If you’re serious about improving your writing, then go buy this book! Hey, I just discovered that I hadn’t borrowed anything yet this month on the Kindle Lending Library, so I was able to download Writing for You today! I still have a free borrow next month! So I’ll be reading your book today. While I was able to borrow the book, it wasn’t exactly easy. It wouldn’t have been easy to buy it either from the Kindle. I could have bought the paperback edition from the Kindle, but not the ebook edition. When I was on the page for the paperback edition, it only showed that one format as being available. So you might want to look into whether the two editions of the book are “synced up” in the system, so that the system recognizes them as being the same book in two different formats. Or maybe it just needs time? I just wanted to let you know my experience with this. 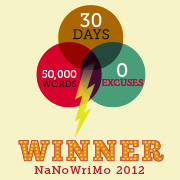 Here’s hoping you reach #1 in the Writing Skills category! Ugh…. I kind of wish they would just hold the publication until everything is set! But I’m glad you found the book and i hope you enjoy the read! Check out the new releases from Victoria and Charles! Get your copy today! Got it. Tweeted it. Good luck. Hope sales go well. You have worked hard, now you can . . . umm, start your next book. haha, YEP! 🙂 Thanks so much for your support, Janice! I appreciate it more than I can say. It feels surreal getting back to fiction, I’ve been working on this project for so long! Yay! I have your book and Charles’s! Happy Release Day to you both! Does anyone know if i can read the kindle version on my nook? aw thank you, will be waiting till week thursday, will the code still be valid?